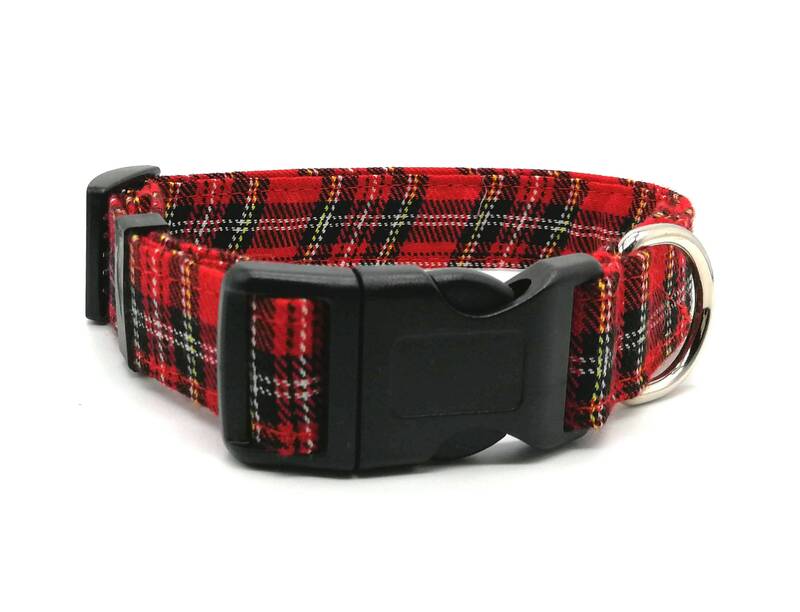 Dog collar in red tartan fabric design. Bow ties also available in this fabric. 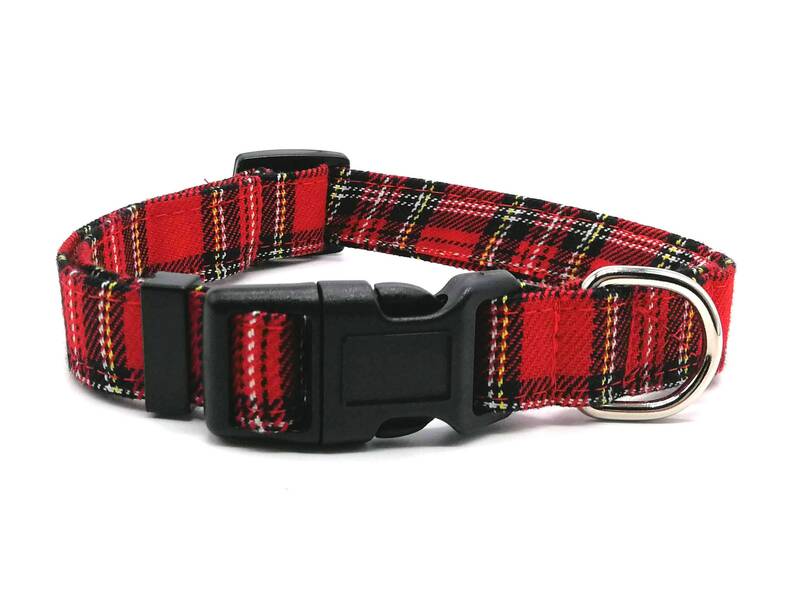 Please measure your dog’s neck to be sure the collar is the right size for your dog. The collar should fit comfortably and make sure you can pass two fingers between the collar and the neck. 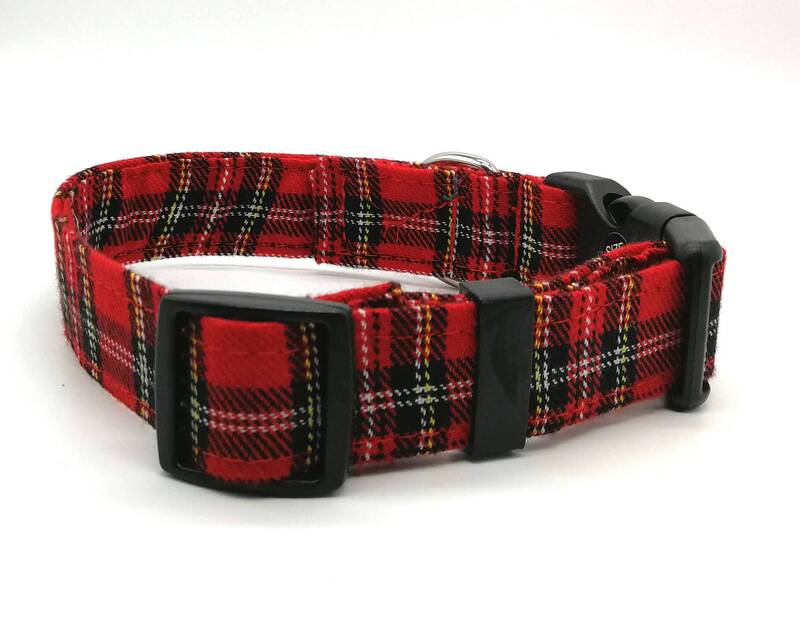 All the collars are handmade and therefore no two collars are identical. Please allow for slight variances from what is shown in the photos. Some patterns may be suitable only for larger collars. Please, keep in mind that no collar is indestructible. Please check the item regularly for wear and tear and replace when necessary. 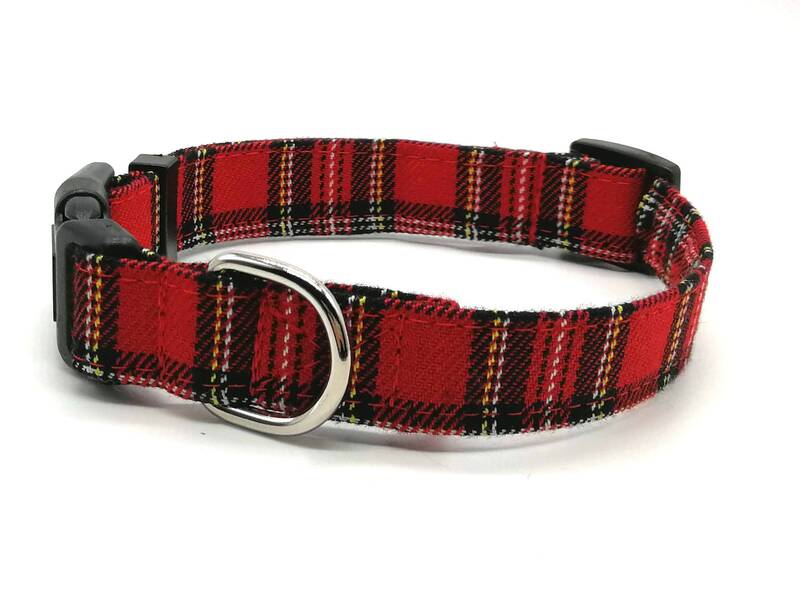 After receipt of the collar it is the customer’s responsibility to determine the suitability of the collar for their dog. Alice's Imagination will not be liable for any injury or loss caused directly or indirectly by our products. 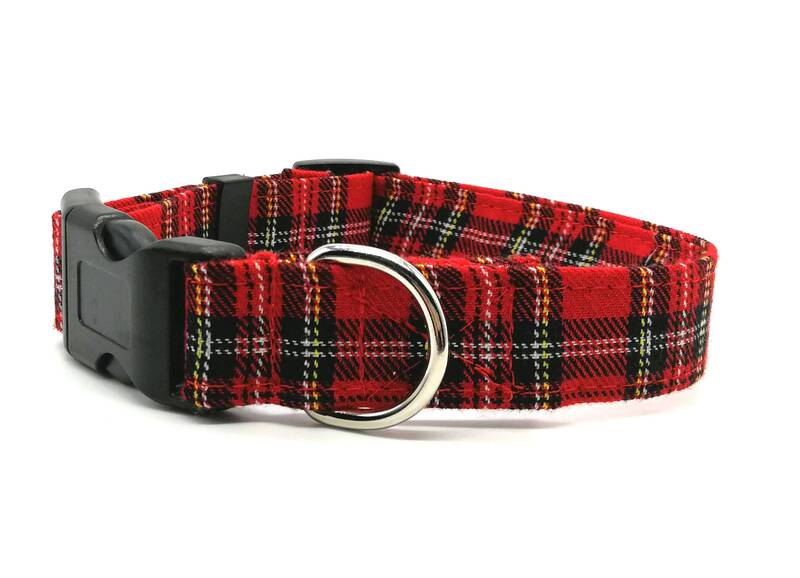 Love the tartan dog collar. Beautiful quality and excellent fast service. 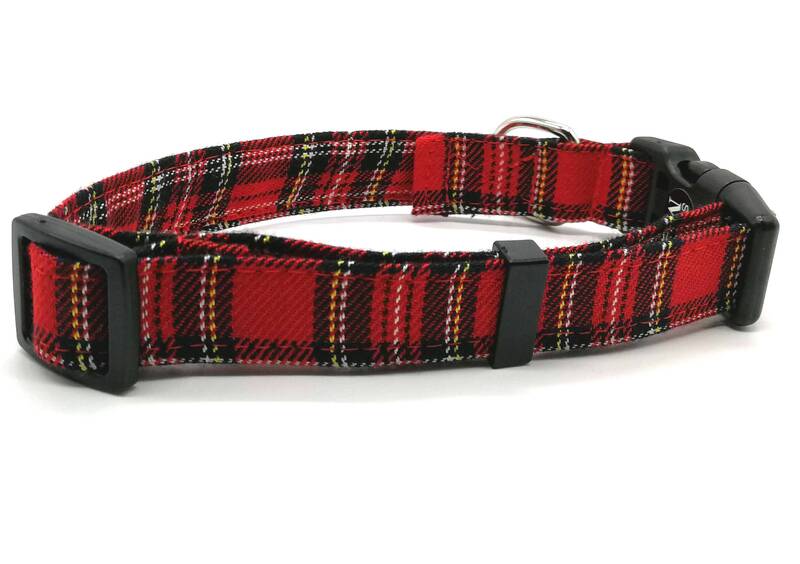 Beautiful collar, looks fantastic on my dog and is very sturdy quality!